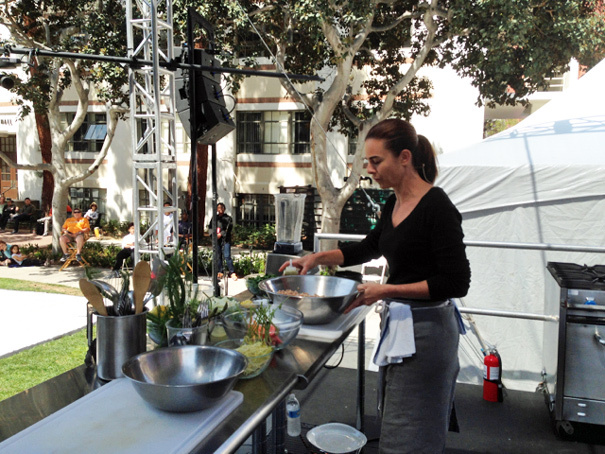 This past weekend, I emceed the cooking tent at the L.A. Times Festival of Books. It was a pretty exhilarating experience: after the jump you’ll see pictures of me and Jackie Collins, Hugh Acheson and Carla Hall. 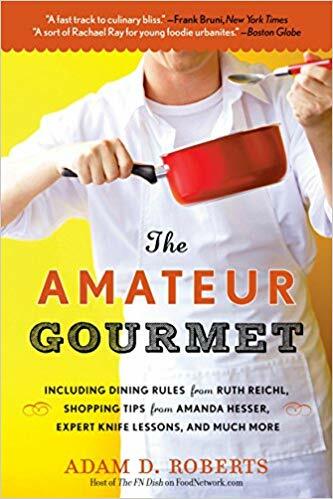 But the highlight for me, personally, was getting to stand next to one of my food heroes–the author of one of my favorite cookbooks of all time, Sunday Suppers at Lucques–while she made two extraordinary dishes in front of a crowd of adoring fans (myself included). That would be Chef Suzanne Goin and this post is about that experience. Every time I make a mac and cheese I declare it the best I’ve ever made. There’s a reason for that. I grew up hating mac and cheese (also lasagna) because my dad hated cheese. So if a friend’s mom made it for dinner, I’d move it around on my plate and feign a sudden bout of appendicitis. It wasn’t until I got older and started eating cheese with my cheese-loving friends that I came back around to mac. 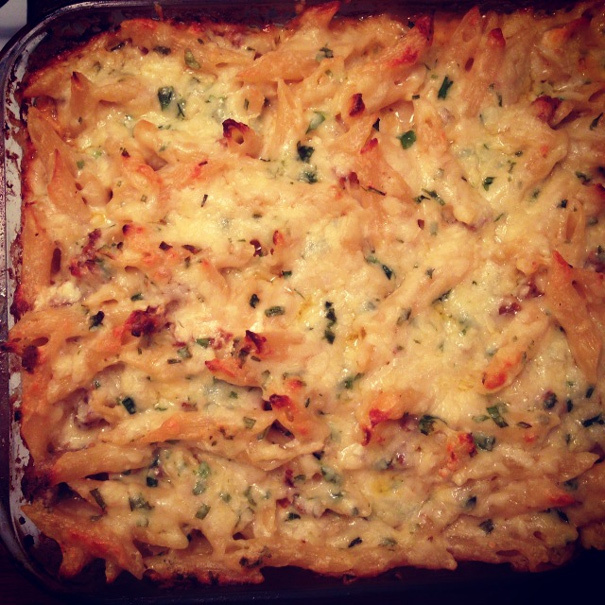 As I started making it myself, and understood what it really was–a white sauce with lots of cheese melted into it, spread over noodles and baked–I could appreciate it as a way to put obscene amounts of cheese on a plate and call it dinner. I’ve made many an obscene mac and cheese since then (one with three cups of cream, one with blue cheese, Gruyere and cheddar) but the most obscene–and delicious–of all may be the one I just made from my friend Garrett McCord’s new cookbook Melt. It’s a mac and cheese for the ages. Growing up, I never really made a Hanukkah list. My mom said to me early on, “We can get you one nice gift or eight crappy gifts,” so obviously I’d pick the nice gift and each year beg for something very specific, like a Nintendo or a Super Nintendo or a Nintendo Gameboy or basically anything Nintendo made. Now that I’m adult, I make a very different sort of list when I go with Craig to Bellingham, Washington for Christmas. This is something known as a “Christmas list” and I’m supposed to put lots of things on it that I’d be happy to find under a giant green structure known as a “Christmas tree.” Actually, I really enjoy doing this and in figuring out what food things I want for myself I end up making a list that works very well as a gift-buying guide for all of you. So without further ado, here’s my Holiday Gift Buying Guide 2013. 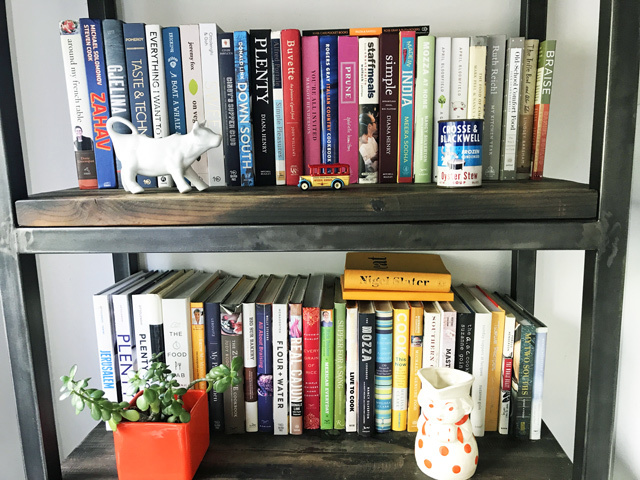 My life in New York was all about the newest and latest cookbooks, poring through them at The Strand and carefully calculating which ones were worth the price of purchase. In L.A., though, I’m all about finding old, tattered cookbooks at used book stores, both at Counterpoint Records in Franklin Village and Alias Books East in Atwater Village. At the latter, recently, I came upon The Campanile Cookbook which was written by two of America’s greatest chefs back when they were married: Mark Peel and Nancy Silverton. 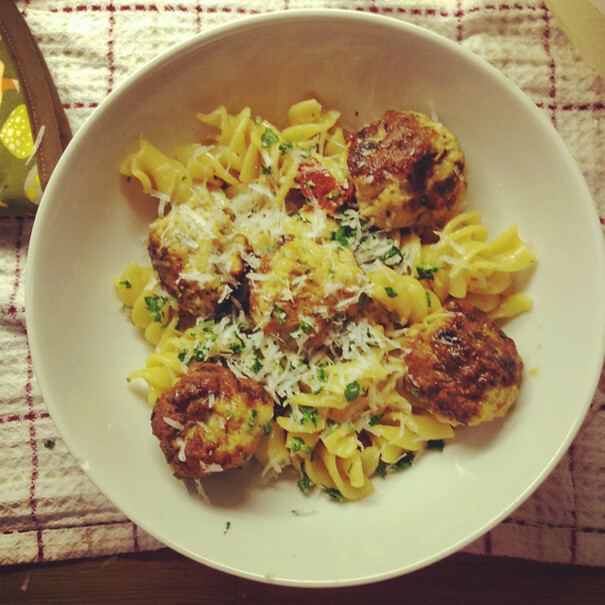 The recipe that sold me instantly is the one I’m about to share with you now. What does a cookbook collaborator do? Meet J.J. Goode. 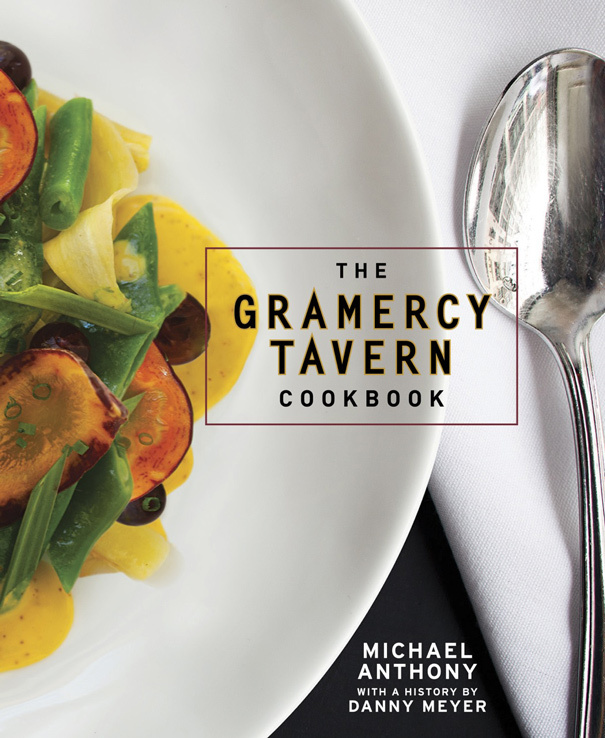 He’s become the go-to guy for chefs who want to write cookbooks with panache. 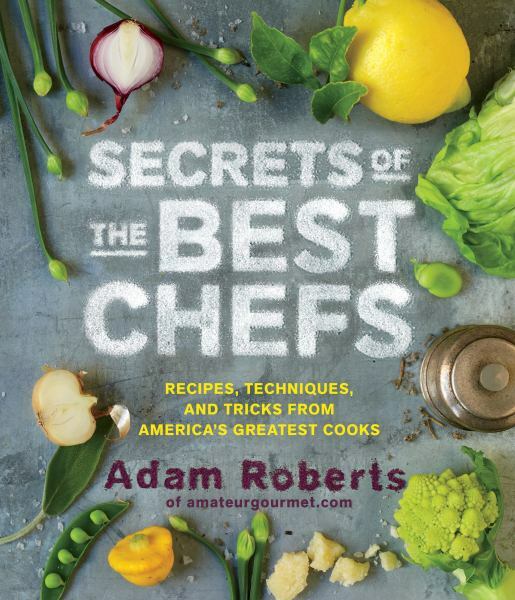 He’s collaborated with April Bloomfield on “A Girl and Her Pig,” Morimoto on the Morimoto Cookbook, and–most recently–Andy Ricker on the Pok Pok Cookbook, which is already having quite a debut. A curious fact is that J.J. does all of this with radial aplasia which, for all intents and purposes, means he tests all of these recipes with one arm. How does he do it? And how does one get a career like J.J.’s? Listen in and find out. Almost a decade ago, when I started my scrappy little food blog, an e-mail arrived all the way from Paris, France from a young woman named Clotilde Dusoulier who had her own food blog called Chocolate & Zucchini. She told me that she liked what I was doing; I checked out her site and I liked what she was doing. We became fast friends–digital pen pals, you might say. We had a dinner at Babbo in New York (documented here with pictures erased, sadly), a dinner in Paris at Ze Kitchen Galerie (those pictures work!). She went on to write several books, including Chocolate & Zucchini: Daily Adventures in a Parisian Kitchen, Clotilde’s Edible Adventures in Paris, and–most recently–a book so gorgeous I have to show you a picture of it.